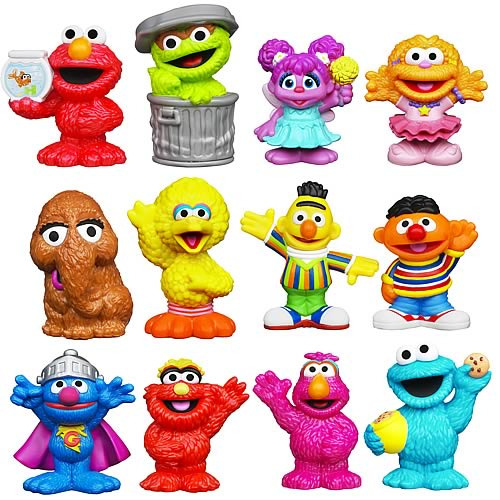 Shopping for Sesame Street Mini-Figures? Bring all your Sesame Street friends home with you! Your favorite characters, packaged in figure 2-packs. Perfect for small hands... or the collector in your life! You know your way to Sesame Street, but how do you get all your friends to come home with you? With the Sesame Street Figure 2-Packs, of course! This wonderful assortment of 3-inch tall plastic figures is perfect for small hands... or maybe a collector in your life. All your favorites are here, packaged together as fun 2-packs! Ages 18 months to 4 years.